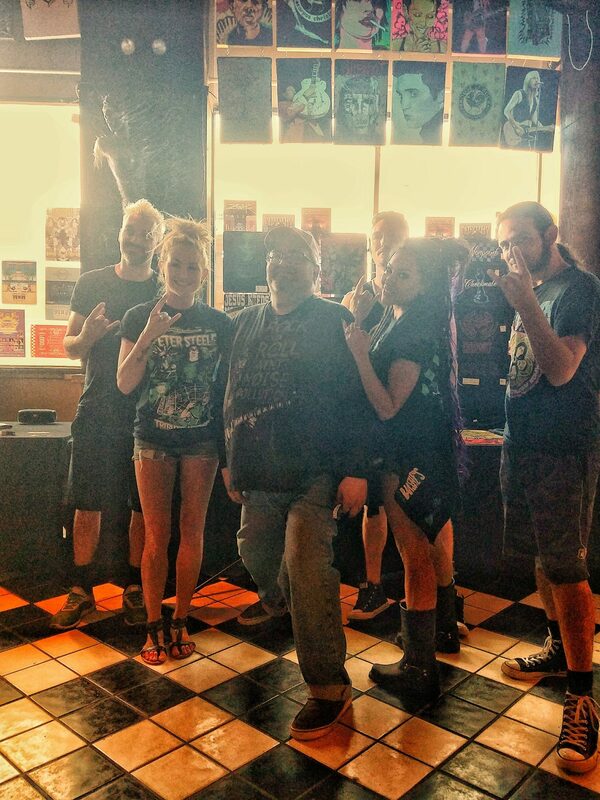 On Wednesday, May 30, 2018, we went to see the Butcher Babies Meet and Greet and concert in Corpus Christi. It’s been a while since I’ve gone to a concert. I think the last one we went to was Katy Perry in January. Sit and back and relax because this is going to be one crazy story. At around 5 AM, I woke up to go to the bathroom and feed the cats. It was dark, and I couldn’t see where I was going. I slipped and fell and heard something on my body crack very loudly. 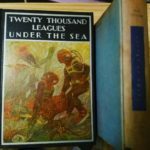 My thought was, Well that sounded expensive. I start panicking because I don’t know what to do. I yelled out for my dad to help me because there was no way I could do it by myself. I felt bad because my dad should not have been deadlifting me off the floor because of his health. He helped me get into the chair. I waited there while my mom got dressed. Surprisingly, I didn’t pass out from the pain. I have never broken anything before. I’ve passed out for being 10 minutes later for class, but a broken ankle is no big deal. Luckily, we have a wheelchair that my dad uses sometimes, and my dad wheels me to the car so that my mom can take me to the Emergency Room. I didn’t realize how far the hospital was from our house until I was sitting in the car in pain for 20 minutes. The hospital workers in front bring a wheelchair to get me, and I get in the chair. I had forgotten my glasses, so I tell them, “Just so you guys know, I’m blind and can’t see anything.” Now to be fair, when I don’t have my glasses I can’t see anything farther than 3 inches in front of my face. I was like ” Oh, my god. I just meant I don’t have my glasses. I’m sorry.” I had a good laugh. They didn’t think it was that funny. They ask me all the standard questions, and then they take me in for an X-Ray. About an hour later, they tell us my ankle is broken in 2 places and that I need surgery. They put my leg in a splint and send me home and refer me to an orthopedic surgeon. I get to the surgeon at about 10 AM, and they do another set of X-rays on me because they can’t find my other ones. They come back to tell me that I will need surgery and that I will be off my feet for a minimum of six weeks. 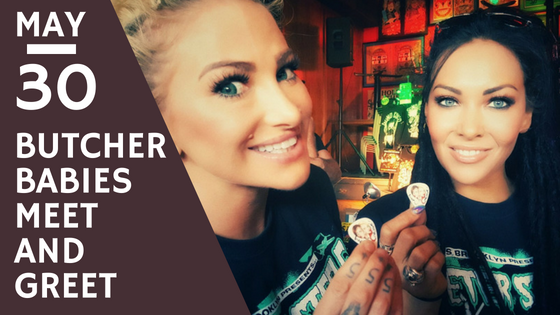 That was all fine and dandy, but what I really wanted to know was if I could still go to the Butcher Babies Meet and Greet. 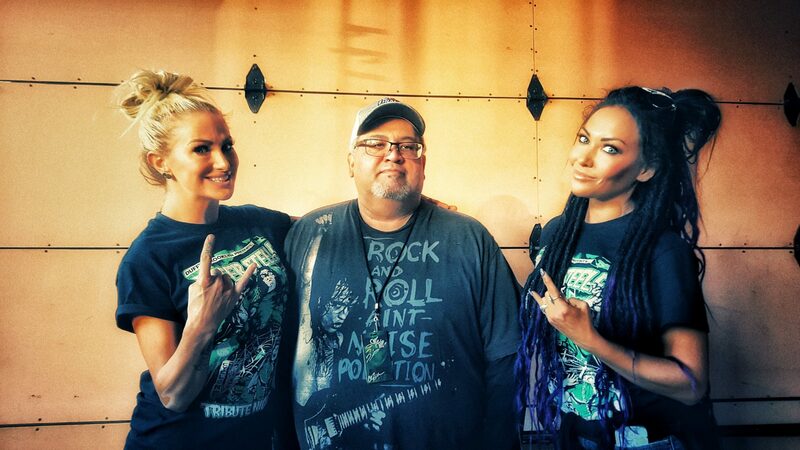 I asked the doctor if it was okay to go to the Butcher Babies Meet and Greet and concert since it was indoors and I had the wheelchair at home. He said okay for the Meet and Greet, but not the concert. We were initially going to leave around 12 PM, but I didn’t leave the doctor until about 12:45. We just barely made it to Corpus Christi with 30 minutes to spare. 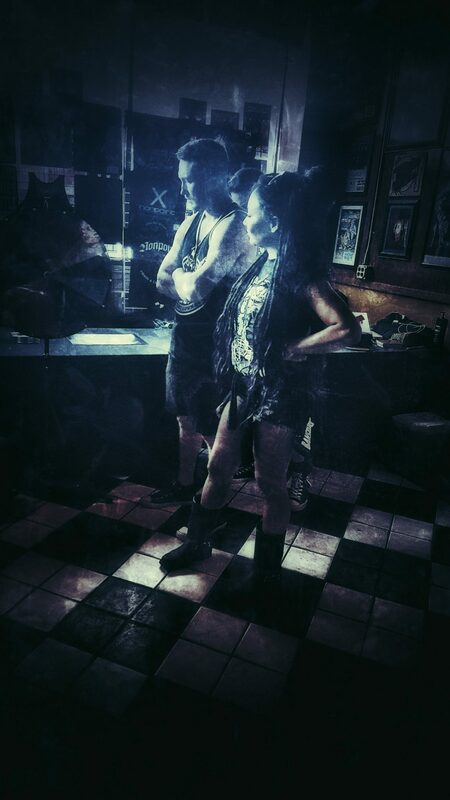 The venue is the House of Rock. They had some excellent pizza there. 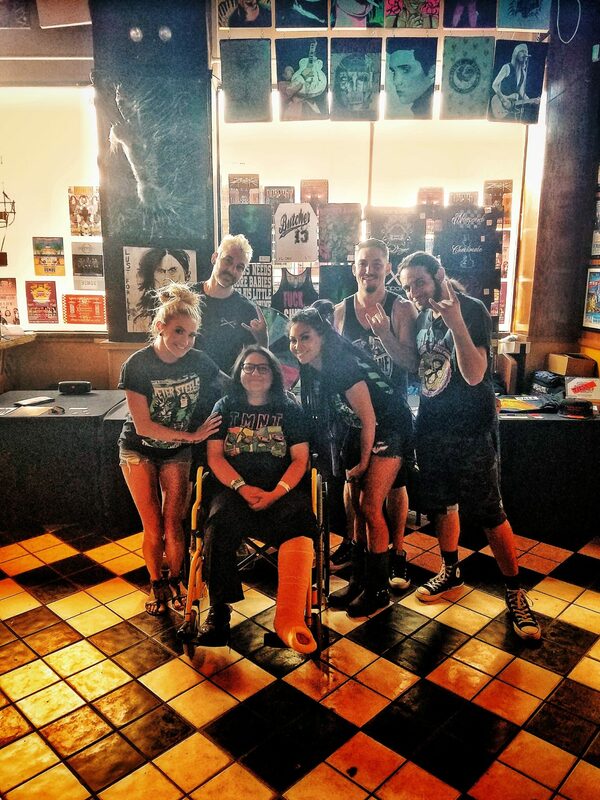 Heidi was freaking out that I broke my ankle that morning, went to the emergency room, saw the doctor and got a splint, then drove 3 hours to Corpus Christi for the Meet and Greet. 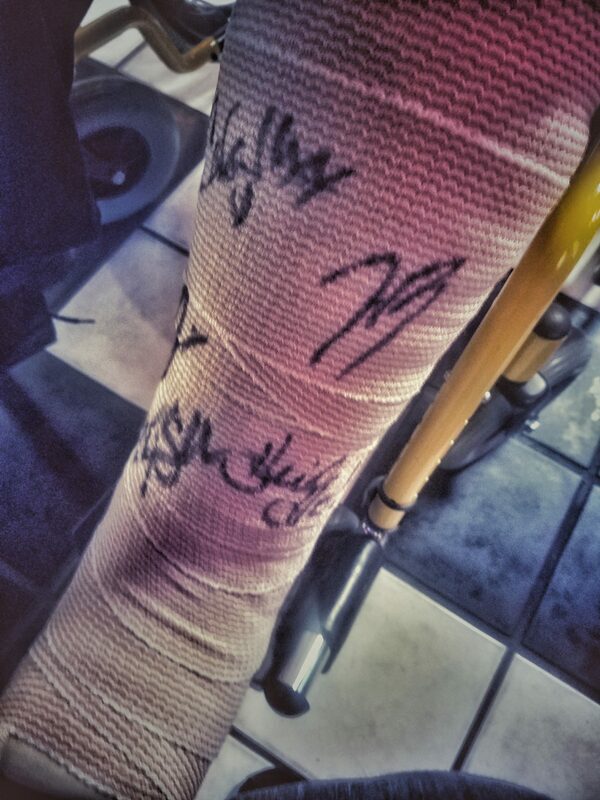 We didn’t get to stay for the show, but I got a wristband, and the whole band signed my splint. It was the 4th best night of my life: concert edition.